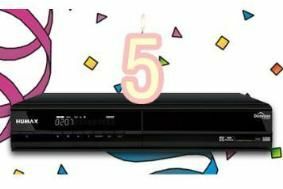 Win a Freeview+ HD box as Humax celebrates anniversary | What Hi-Fi? If you have a PVR-9200T in your system, or tucked away somewhere, all you need to do is take a look for the serial number written on the unit, then enter your details on the Humax website. The owner of the oldest box will win a Humax HDR-FOX T2, while five winners picked at random will also each win an HDR-FOX T2 with an external hard drive. Head over to the Humax website for all the details and to enter the competition.